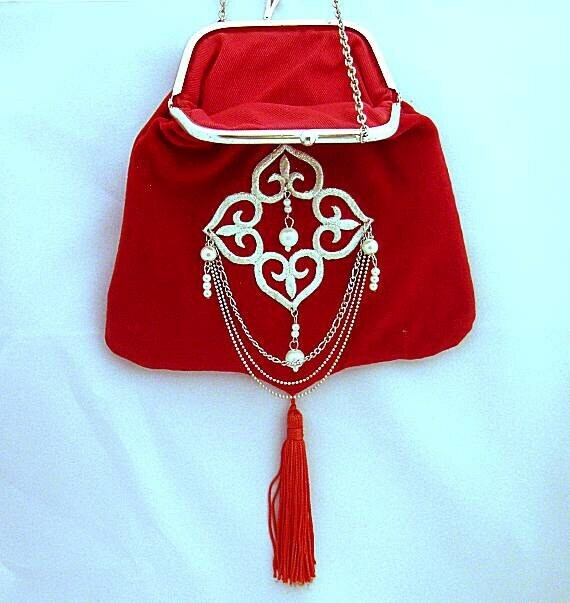 This stunning red velveteen purse is fully lined and is carefully sewn to a silver metal frame. 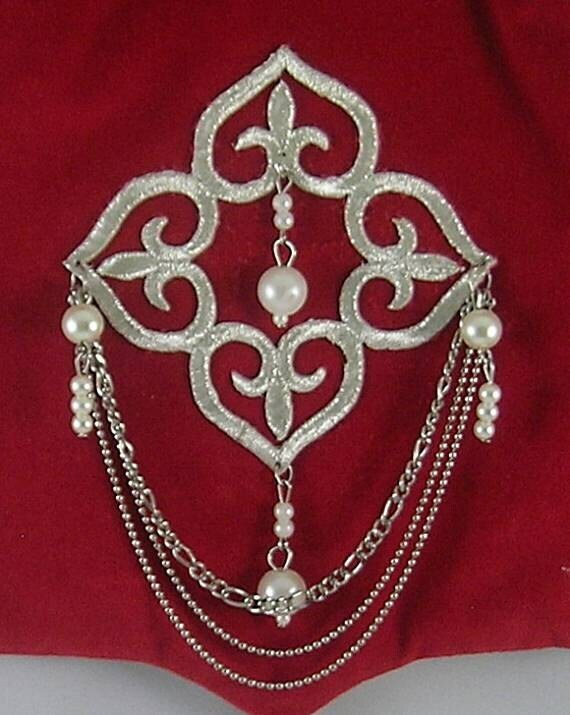 Attached to the frame is a shoulder chain that measures 18" folded in half. 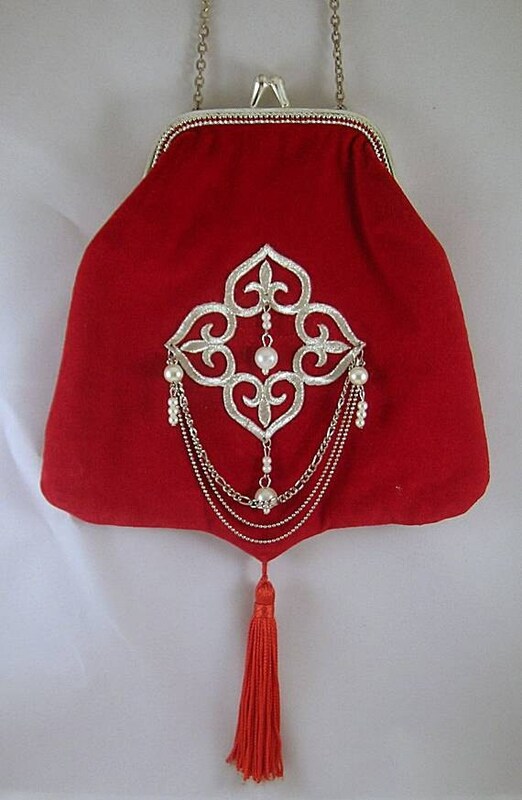 An applique stitched with silver thread, chains and pearls embellishes the front. The back remains unadorned. 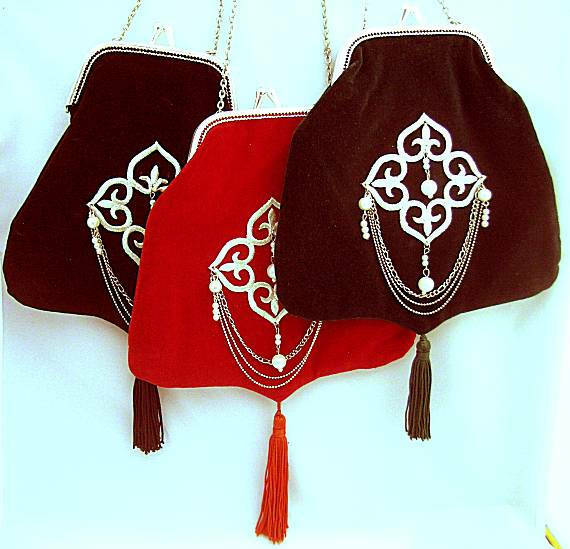 A tassel hangs from the bottom. 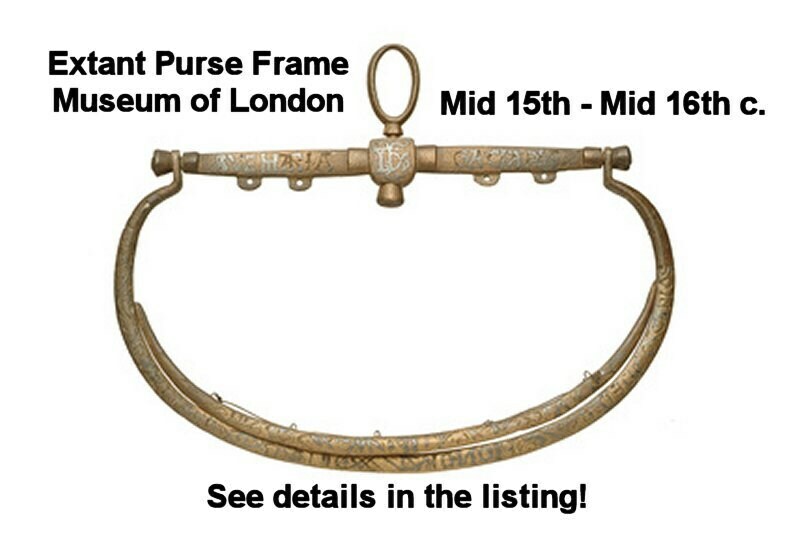 The purse measures approx. 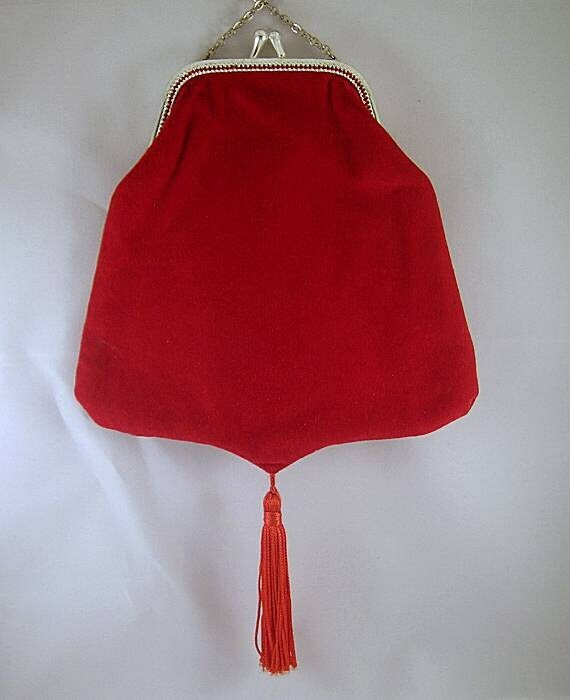 8 inches wide and 7 inches deep, not including the point at the bottom nor the 3 1/2" tassel. Also available in black and dark green, listed separately.